If you've read Your Money or Your Life, then you should be familiar with the concept of your true hourly wage. In a nutshell, it is a number that takes into account all the additional time related to your job that reduces your on-the-books hourly wage. For example, let's say you are paid $10 per hour at your job and you work 8 paid hours a day for a total of $80. But maybe it takes you a 30 minute commute each way to get to and from your workplace. Thus there is actually 9 hours of your day related to work, 8 working and 1 commuting. So to calculate your true hourly wage you take the amount of money you make each day and divide it by the total time related to your job. For our example, $80 divided by 9 hours give a true hourly wage of $8.89 per hour. This process also works in reverse and it is to that situation I will turn my attention. I work at an inbound call center that has low to medium call volume. So during an 8 hour shift I might only be taking calls and doing tasks related to that job for 5.5-6 hours while the rest of the time is spent waiting for calls to come in. If we take the same on-the-books wage of $10 per hour, this works out to be a true hourly wage of $13.33 per hour. This worked out very well for myself and other students as we could do homework and read our texts between calls. Unfortunately, due to a security breach in a different department, that privilege was taken away from us. That kind of sucked, but at least we still had the internet to surf between calls. In one fell swoop, this action pissed off many people and reduced job satisfaction since now people are extremely bored between calls. There has been talk of filling up between call time with other call center related duties so that you are being paid for what the center wants you to do. From a business perspective, I can understand not wanting to pay employees for non-work related activities. However, what this does is reduce employees' true hourly wage. If those 2 hours are filled with other duties, then employees will be making less per hour worked, plus they will be doing more work. Such a situation is not good for morale. So I face a bit of a quandary in that I am essentially working at a place that has transitioned from one where I could pursue my own interests between calls, thus being personally productive to one that I am pretty bored at. I am faced with the decision to move on and use that extra time to be productive, yet lose out financially or stick with it and dislike the work environment. My initial thoughts are that I will stay since I plan to only be there for another year or so anyways and to use the dollars made for the very specific purpose of a new car and a house down payment rather that just having that money be a nice extra in our accounts. 1. Don't take for granted what you have as it can be taken away at any time. 2. Defining goals for your dollars can make other parts of your life acceptable/tolerable. 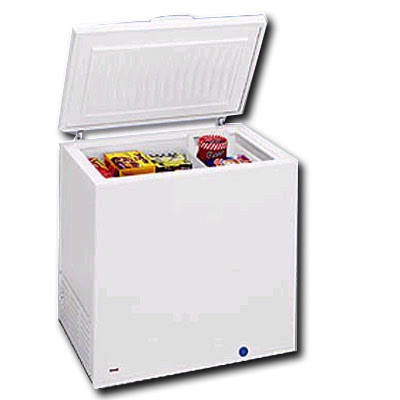 Since last week, I did a roundup of current freezer prices and evaluated what we would use such an appliance for. We decided to go with the larger 7 foot model as I plan to keep different flours subject to spoilage and various nuts in there. Stock will be a staple freezer item as will bread, tomato sauce, and ice cream. Based on my findings, we could get the cheapest 7 foot model at Leon's for $288. However, the brand name, Wood's, was not one either of us were familiar with. For an additional $11 a Frigidaire model at The Brick could be had for $299 and the same model was at Futureshop for $329. So we went ahead and purchased the Frigidaire 7.2 cubic foot chest freezer from Futureshop even though it was more expensive. Why go with the place that had the highest price? Here's where things get interesting. Futureshop offers a price match/beat on items advertised at competitors. They beat the price by 10% of the difference of the two items. So the Futureshop price becomes $296. It gets even better as I had $100 in gift cards in my wallet since Christmas that I used to bring the price down to $244 with tax. What this means is that we need to save more than $5.90 each month through use of the freezer to have made the purchase a worthwhile one. If we eat out one less time a month as a result of having something in the freezer we can re-heat, then the freezer will more than pay for itself. This does not seem an unreasonable scenario and I look forward to creating delicious food I can quickly and easily reheat. There may be an additional cost associated with transporting the freezer. We can have Futureshop deliver it for $50 or rent a van from U-haul for about $30 taxes included. We will also explore the possibility of using our landlord's truck for free.